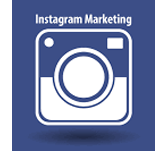 Instagram is one of the social networking sites which is used as a successful digital marketing tool to promotes brands. This tutorial will give you detailed description on how to efficiently use this medium to make and share your stories digitally and reach the preferred audience. This will result in higher sales and better user engagement. This tutorial is useful for people who want to strengthen their social presence in the market by using Instagram, which is one of the fastest growing social media platforms. Before starting this tutorial, users should have a basic understanding of digital marketing and possess good communication skills. We are assuming that you have required creative skills to make your mark in the field of digital marketing.